Cool off with Crystal ice cream and save $1 with this week’s coupon. Running short on time to make up your own salsa? Leave the work to D.L. Jardine’s. Prepared in small batches, these salsas taste as fresh as homemade! 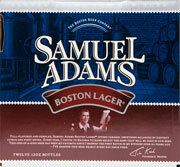 Celebrate with this full, rich flavor that is both balanced and complex. On ad this week for the 4th of July! These festively named candies are great for a special 4th of July treat. And don’t feel guilty about giving them to the kids — they are sugar-free, made with tooth-protecting Xylitol. 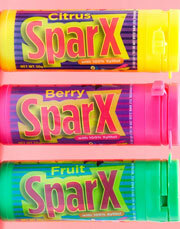 Available in citrus, mixed fruit and berry flavors. They’re finally here! Capay Organic Heirloom tomatoes are in and are as flavorful and juicy as ever. 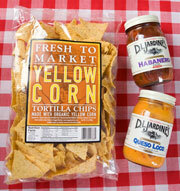 Pick some up today and give our Heirloom Tomato, Black Bean & Corn Salsa a try. 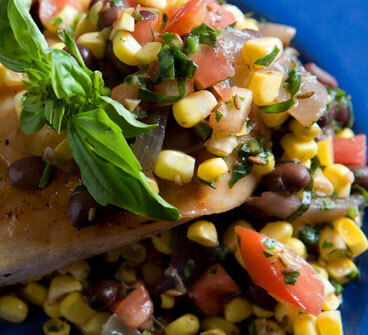 This summery salsa will be a hit at any 4th of July celebration. 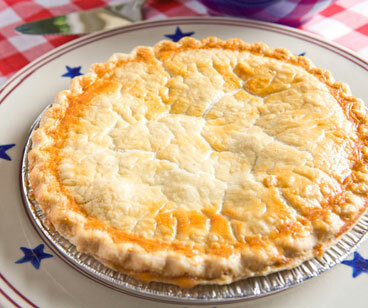 Celebrate the 4th of July with a delicious apple pie made with flavorful fruit, a delicate crust, and a good balance of spices — a summer fruit spectacular with no trans fats! Serve it a la mode and save $1 on Crystal ice cream with our coupon. On sale for Independence Day! July 1 to 7, 2009. 9" Apple Pie, $6.99/ea. save $3.00/ea. * Our bakery also offers trans-fat-free peach, cherry, berry, strawberry rhubarb and blueberry pies. Prices vary by variety. For an extra-tasty Independence Day barbecue item, try Nugget’s handcrafted Kansas City BBQ Pork Sausage. Made daily in our stores, these sausages are all natural, with no fillers, extenders, nitrates or nitrites – and no MSG! 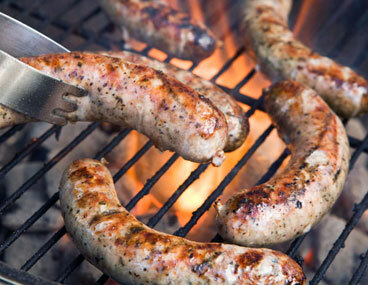 Kansas City BBQ Pork Sausage, $2.99 lb save $2.00 lb. Many of us endure the valley heat knowing the fresh, sweet corn comes with it. A must-have at picnics and BBQ’s as well as a delicious addition to salads, cold pasta dishes and relishes, corn is one of my favorites. But corn is often disregarded as a nutritional powerhouse. Here’s the rundown on corn’s wondrous health benefits. A one cup serving (1½ ears) supplies a 40 gram dose of complex carbs which your muscles use to fuel your summertime activities such as biking, swimming and playing softball. Almost 20% of your daily allotment for fiber is in one serving – the insoluble type that helps keep intestinal tract running smoothly. Each serving also packs 20% of folate needs, a B vitamin that research shows helps protect your heart by clearing a dangerous metabolite from the circulation. Corn’s yellow color comes from a cancer-fighting compound called zeaxanthin (this pigment’s name comes from zea mays – corn’s technical name), which lowers risk of several cancers. New studies reveal corn is loaded with phytonutrients giving corn a high antioxidant rating, one of the highest among the whole grains. This may translate to greater long term health benefits such as lower risk for age-related diseases.